Samsung Electronics has unveiled the Galaxy A5 and Galaxy A3, offering a refined, trendy design and the most advanced functions to support social networking for mobile consumers. Available in a variety of colors and sizes, both devices empower younger consumers to quickly and easily capture meaningful moments, connect to social media and share their daily lives. “The Galaxy A5 and A3 offer a beautifully crafted full metal unibody, slim design, superior hardware and the best possible social media experience,” said Manoj Changarampatt, Samsung Internet and Mobile, East Africa. The Galaxy A5 and A3 are Samsung’s slimmest smartphones to date, featuring refined full metal unibody designs that are 6.7mm and 6.9mm thin, respectively. Both devices will come in a variety of colors, including Pearl White, Midnight Black, Platinum Silver and Champagne Gold, to accommodate the personal style and preference of diverse users. The Galaxy A5 and A3 offer a superior mobile and social experience to young consumers who want to express their unique style while constantly staying connected. Sporting an advanced 5MP front-facing camera, taking vivid selfies is now easier than ever before. Innovative photo-taking features, such as Wide Selfie, Palm Selfie, Animated GIF, Beauty Face Features, and Rear-cam Selfie, let users capture attractive selfies in high resolution by automatically detecting and focusing on a person’s face. Users are also able to quickly and easily share photos or videos on their favorite social media channels with the device’s fast network speed standard. 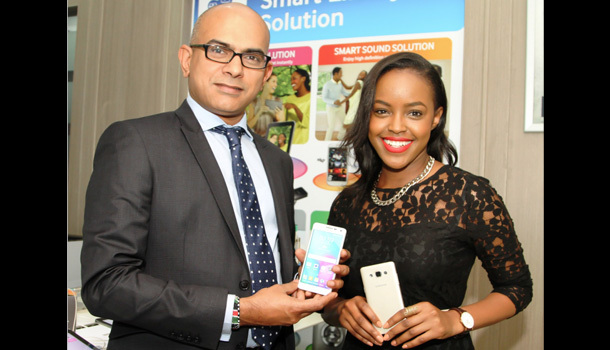 The Galaxy A5 and A3 are ideal for young consumers seeking practicality and functionality. Both devices are equipped with an extraordinary Super AMOLED display and Adaptive Display technology to deliver clearer images with deep contrast and better viewing angles for more vivid, colorful content in virtually any environment, even under bright sunlight. The Galaxy A5 and A3 are also outfitted with a Quad Core 1.2 GHz processor for seamless multi-tasking and faster browsing experience. In addition, the Galaxy A5 and A3 include popular features exclusive to Galaxy devices, such as Ultra-Power Saving Mode, Private Mode and Multiscreen, as well as adjustable audio which intelligently adapts and enhances sound output based on the user’s surrounding environment. How to Write a Question in an Essay – Is it a Scam?